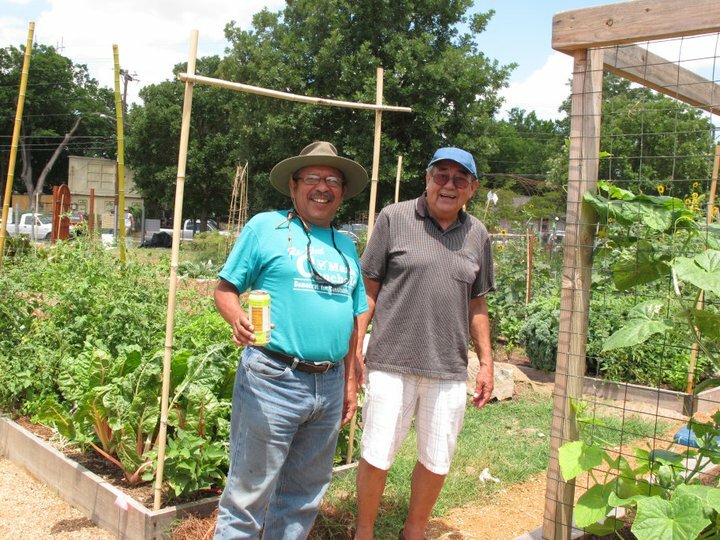 The East Cesar Chavez Neighborhood Needs Your Help! Austin Community Tree Program and the East Cesar Chavez Neighborhood are working together to increase the tree canopy by providing free trees. Click this link to learn more about the Austin Community Tree Program. If you have ever heard that “there’s no such thing as a free lunch”; the same goes for trees. We need volunteers to help us with this fantastic opportunity. Training will be provided. Please let us know if you can help out by clicking on the photo and completing the form. Thanks for helping to make our neighborhood a “cooler” place to live. Please contact Kathy McWhorter, 512-478-9478 for more details. 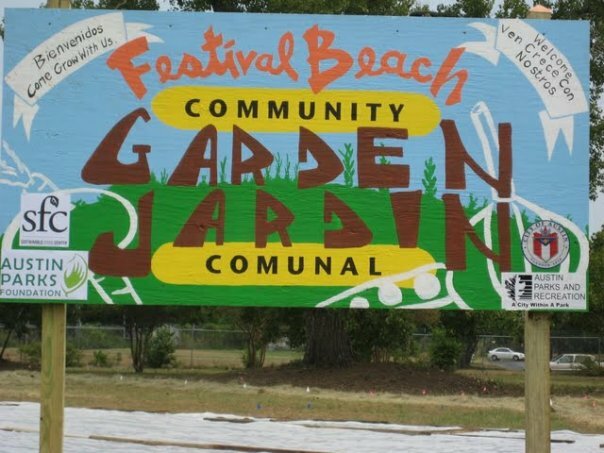 Happy Anniversary to Festival Beach Community Garden! 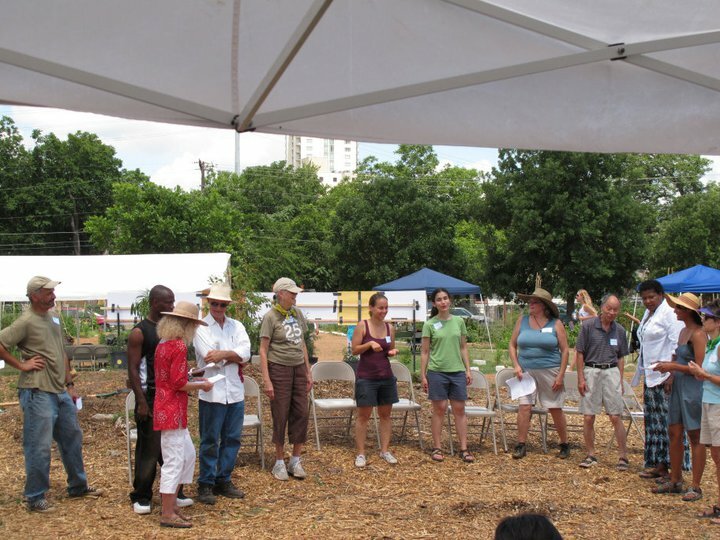 Congratulations to the Festival Beach Community Garden on reaching their first anniversary! The garden held an official Grand Opening Celebration on Saturday, June 4th. Mayor Lee Leffingwell proclaimed the day “Festival Beach Community Garden Day.” Sustainable Food Center Board President Sara Bohn, Austin Parks and Recreation Director Sarah Hensley, Austin Parks Foundation Board President Jill Nokes, and many garden experts also presented! Hundreds of gardeners and guests were served food and drinks prepared by neighborhood restaurants and others businesses throughout Austin. The party featured music, garden tours, and lots of laughter! Thanks to the many neighborhood businesses who contributed donations especially Eastside Pies who used vegetables grown in our garden as toppings on the pizzas they donated. The garden is located on Waller St. at Cleremont St. We welcome you to drop by the 2nd Saturday of each month, when we conduct our monthly workdays. You are welcome to bring a pair of gloves and pitch in, or just stop by for a quick garden tour. For more information,visit the Festival Beach Community Garden website or email info@festivalbeachgarden.org.